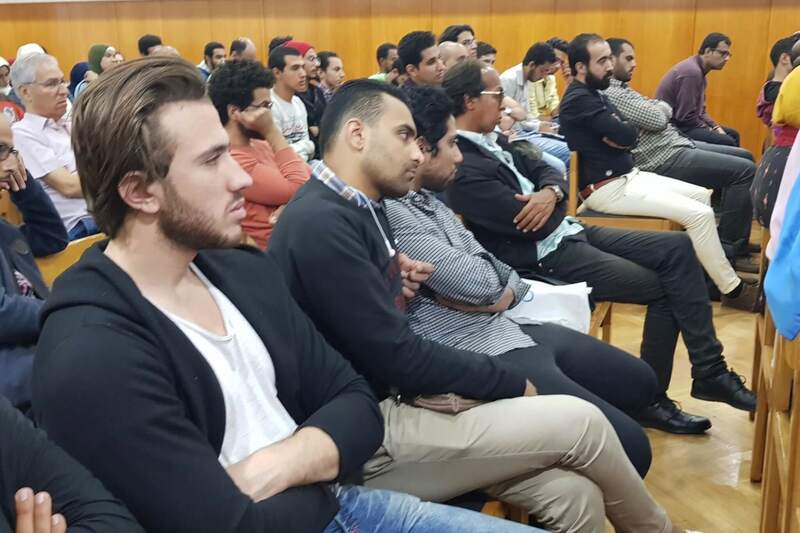 A large audience attended a lecture on "Philosophy and Poetry," part of the Philosophy in Plain Arabic initiative (Photo courtesy Philosophy in Plain Arabic). Most of the students and others who attended a public lecture this month at the American University in Cairo on the relationship between philosophy and poetry were not experts in either discipline. They came because they were interested in learning more about philosophy and hearing it explained in ordinary language and a simplified style. The talk was one in a series of lectures and workshops presented by Philosophy in Plain Arabic (Bel Arabi Falsafa), an initiative that seeks to change negative public perceptions of philosophy as an elite discipline unconnected to everyday reality, and an academic dumping ground for university students who didn’t score high enough on high school exit exams to enter other majors. 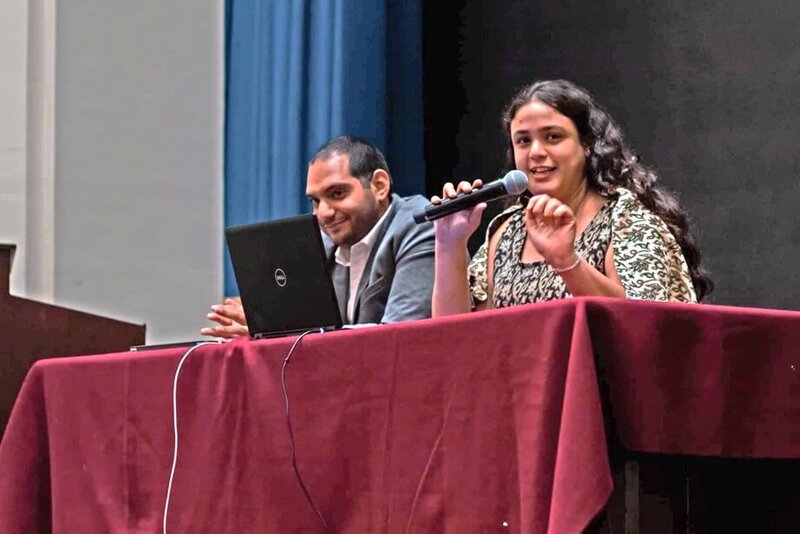 Philosophy in Plain Arabic was founded almost two years ago by Yossra Hamouda, who holds a bachelor’s degree in philosophy from the American University in Cairo. “The initiative started to develop after I received requests from several friends, who aren’t experts on philosophy, to think of ways by which to offer the general public some simple and free learning of philosophy,” Hamouda said. Initially, that was a challenge, given that few of the philosophy professors at the university are fluent in Arabic. As an alternative, Hamouda turned to graduate students, lecturers, philosophy department graduates, and others who hold master’s degrees in philosophy. In Egypt, majoring in philosophy does not mean a student is actually interested in the topic. Students sometimes have no other option because low grades at secondary school limit them to enrolling in disciplines in the arts and humanities. In addition, philosophy departments often take in students unconditionally—unlike, for example, language departments, which require high grades. The annual number of philosophy graduates in Egypt is in the thousands, many of whom face difficulty in finding work. The lucky ones find jobs teaching subjects not related to their field of study. Egypt’s Central Agency for Public Mobilization and Statistics estimates the number of graduates of public universities at 324,000 in 2016, of which 65,000 are graduates of arts and humanities disciplines. Philosophy graduates constitute 13.2 percent of the total number of arts and humanities graduates. According to Fahmy, the lack of specific conditions or minimum grades for student acceptance results in graduates who are not interested in or qualified to improve the discipline’s image. “If students are not accepted into any of the other departments of the Faculty of Arts, they are transferred directly to the department of philosophy,” she said. 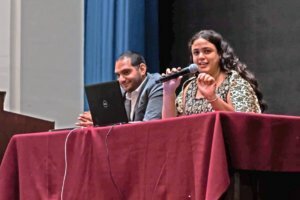 Last year, Fahmy and fellow professors of philosophy at Helwan University started a debate around setting conditions for admission into the department. “As professors, we are responsible for the inferior view of the study of philosophy in Egypt,” she said. 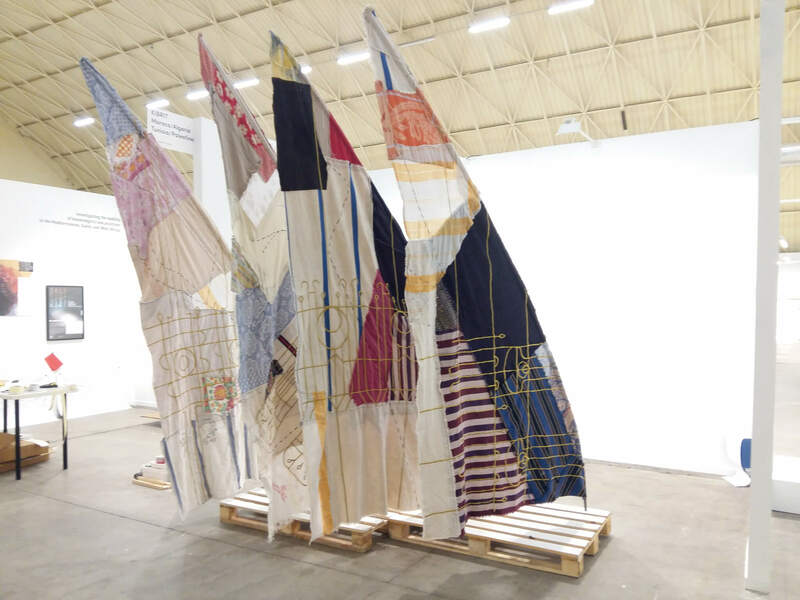 Audiences at Philosophy in Plain Arabic’s lectures and workshops respond to philosophical theories and ideas that raise questions rather than answers, Hamouda said, and the scholars who present the lectures prefer not to align with just one philosopher. Yossra Hamouda is the founder of the Philosophy in Plain Arabic Initiative (Photo by Ibram Nady). The initiative draws in not just those who study philosophy, but also others from different age, cultural and social groups, Hammouda added. Abdullah agrees with Fahmy that many philosophy students have been forced into studying it, but he believes that there are some students who have a real desire to learn. “We do have distinguished students, but they are a minority,” he said. He also agrees that employment opportunities for philosophy graduates in Egypt are limited. Most opportunities in the field are confined to teaching, Abdullah said, and not enough openings exist to absorb all the graduates, in part because philosophy is an optional subject in secondary schools. “In 2010, there were 21 colleges of literature in Egypt, with 21 departments of philosophy,” from which at least 8,000 students graduate annually, he said. But Abdullah believes that philosophy graduates have the potential to work in various other fields, such as public relations and journalism.